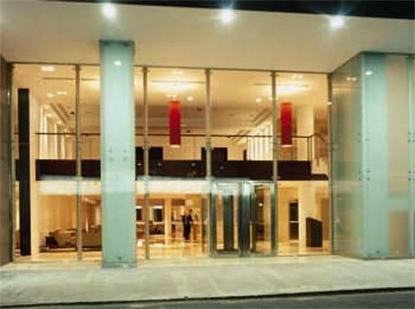 This superior 4 star hotel combines modern and practical design with the best of the services. In its development every detail was planned to please our guests and adapt to their needs.Thanks to its location, in the very center of Buenos Aires with excellent transportation and near the most important and famous tourist attractions, you will make the most of your time. We know that time is important to our guests. Your visit will be enhanced as a tourist in our marvelous city and as a businessperson our central location will be valuable to you. We have everything the business traveler needs in order to work efficiently ? including, for those larger events, a meeting and reception room, which can accommodate up to 200 attendees.As refers to leisure activities, we offer our guests an indoor swimming pool, Scottish showers, sauna and gym. You will be delighted not only with our international cuisine restaurant but also with the excellent buffet breakfast every morning. Our rooms have been carefully designed and created for your well-being. There are 77 of them, all finished to a very high standard both in comfort and contemporary design. For those who wish even more space we offer 11 beautiful suites.